Interesting news coming out of Sony HQ: the first episode in a brand-new series of videos, known as State of Play, which will occur throughout the year. The first episode will be broadcasting on Monday 25th March at 9PM GMT/5PM EST. “Our first episode will showcase upcoming PS4 and PS VR software, including new trailers, new game announcements and new gameplay footage”. Reads the official statement which was released previously. 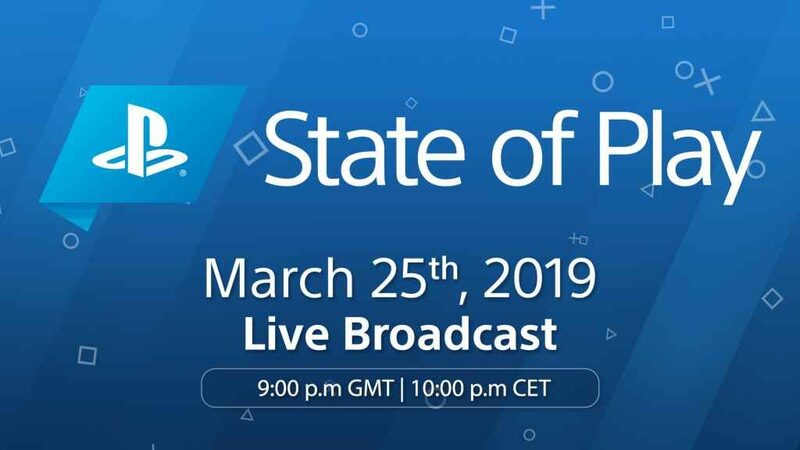 Is State of Play the Future of PlayStation Announcements? Having already pulled out of E3 2019, it seems eminently possible Sony will favour this particular method of communicating with its fanbase going forward. We’d be lying if we said the prospect of PlayStation pulling out of E3 altogether (save when it decides to officially unveil the PS5 – you can bet your bottom dollar it’ll be at the show in one form or another then) wasn’t somewhat bittersweet. Nevertheless, as Nintendo has already proved with the Nintendo Direct programme, it’s far easier to avoid spoilers, leaks etc. and keep fans in the loop if you release updates regularly, rather than saving everything up for hectic, annual industry events like E3.